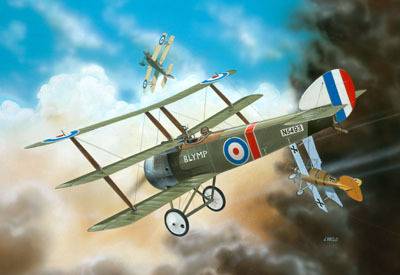 Sopwith Triplane [10Rev04187] - £3.50 : Hobbies and Collectables Online, more for your money! The Sopwith Triplane was a highly maneuverable aircraft that achieved great success during the short space of time it saw service. It became the inspiration for the Fokker Triplane that achieved fame later on.